Want to improve your Joomla eCommerce Store? Here are some tips to get best out of your Joomla website. Internet is the biggest marketplace and this article is especially created for those businessmen who are running e-stores and want to increase their online sales. A huge number of people have already been attracted by the online shopping facilities and everyday this number is constantly increasing which clearly shows that the future of this newly introduced way of shopping will be even greater. However, it is not now easy to get the maximum output of the eCommerce Store because regular business owners have also introduced online shopping options to increase their turnover which means the competition is much tougher than it used to be few years back. 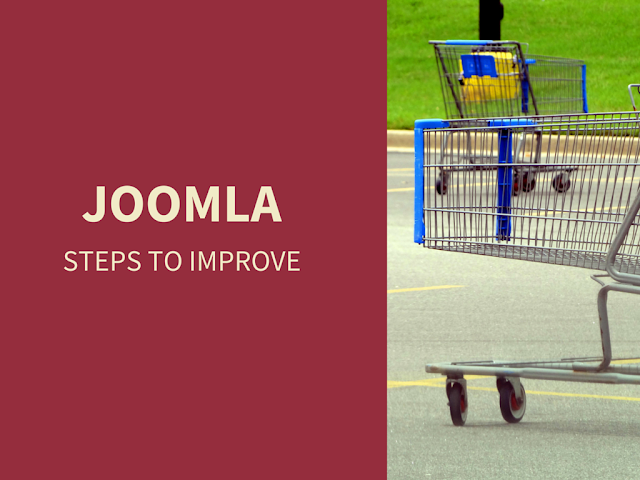 Here are some great steps which can help you improve your Joomla eCommerce Store. Domino’s Pizza - You get fresh, hot pizza delivered to your door in 30 minutes or less — or it’s free. You may not give full focus on color combination of your Joomla Store but believe me, it makes a huge difference and greatly effects the visitors. If your site has pretty harsh appearance, you may not be able to get maximum number of people. Instead if your store comes with great color combination that gives great feelings to the visitors, the chances of their returning back will be much higher. 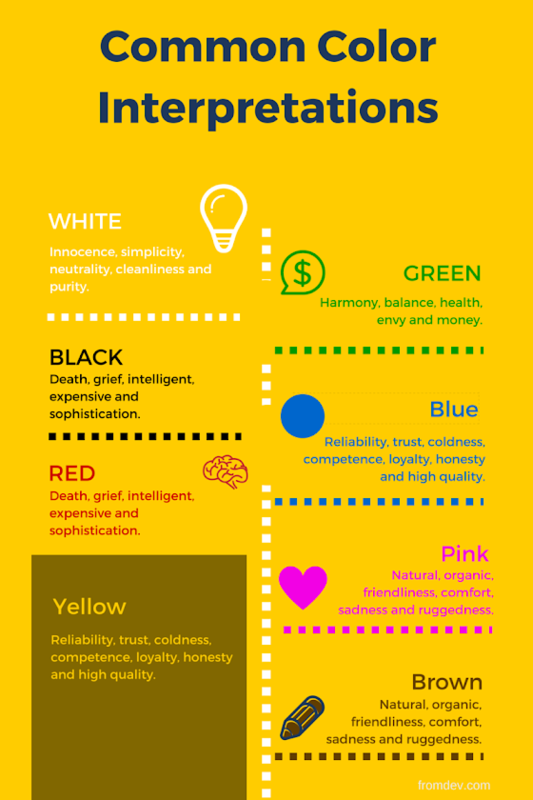 Remember the simplest secret of increasing your sales is to make visitors stay long on your site as this is what will make them buy things and for this you need to understand the psychology of colors to benefit your online business: Check out common interpretations for common colors in below infographics. A huge number of people reach on ecommerce stores through effective advertisements but when they reach to the site, they find that advertised stuff is either unavailable or available in poor quality and this badly effect to the sales. You must never do this because this will make you lose the confidence of your clients and they will never come back to you. Therefore, you must market what you actually have in your store. Most of the traditional business owners who have recently started their e-stores don’t have the idea about the advantages of easy navigation on sites. For example, if you visit a website to find some kind of information, you navigate through different pages and if you find it easier to reach out desired information, your stay may be longer or else you will navigate to other sites. Therefore, you must avoid creating this confusion and you must make things as simpler as possible for potential visitors. You must ensure visibility of your store because if your site disappears for few hours or days, this will badly impact your online presence and will bring very bad impression on your clients when they try to reach your store but find it is not available due to some technical problems. There may be variety of reasons for unavailability of the site but you must make sure to handle all of them as soon as possible. When you want to spread your word among internet users, social media can be the largest place where you can access to huge number of people. This is a secret weapon that you must use very wisely to bring traffic to your Joomla Store. Facebook, Twitter and YouTube are the considered to be the most popular options where you can work to bring potential clients to your website. Another very important step towards improving Joomla Ecommerce Store is the availability of more payment options for potential buyers. If a buyer with a PayPal account comes to your site but does not find the option to make transaction through PayPal, he will simply move to another store where this option is available so it is really important to provide as many options as possible. When it is about marketing your Joomla Ecommerce Store, the simplest and quickest option is to use Pay Per Click Advertisement as this is a proven method to drive the flow of online traffic towards a particular website. However, blogging is something which brings permanent results and you receive visitors on constant basis. People are looking for variety of information and if you can provide them with desired information through blogging, this will greatly increase flow of traffic to your site. The use of Analytics is really important because you must know what actually works in your case to bring everything in perfect order. This free to use tool will allow you to get correct data that will help you make the right decision at the right time. When you use what pages of your site are more attractive for internet users, you can harness its power to improve your Joomla Ecommerce Store. All these initiatives are important to consider because in this way entrepreneurs could attain desired outcomes that could be perceived in different forms. By means of creating unique selling proposition along with easy site navigation, the customers could receive and experience desired services or products. At the same time, there is need of focusing on the provision of promised products and services that are promised in the marketing or advertisement. This article is contributed by Sofia Sam and Joshua Gridley. Sofia Sam is a small business entrepreneurs who has been in this filed for many years and learnt a lot from her personal experiences which she often shares with other people. She is also an academic writer and offer her services at Essay Yard - Essay Writing Services UK. (Google+). Joshua Gridley is the owner of an academic writing company Essay Writing Service uk that provides its expertise in composing academic papers of different subjects and topics. Other than her professional responsibilities, she loves writing for different blogs and websites and watching TV..